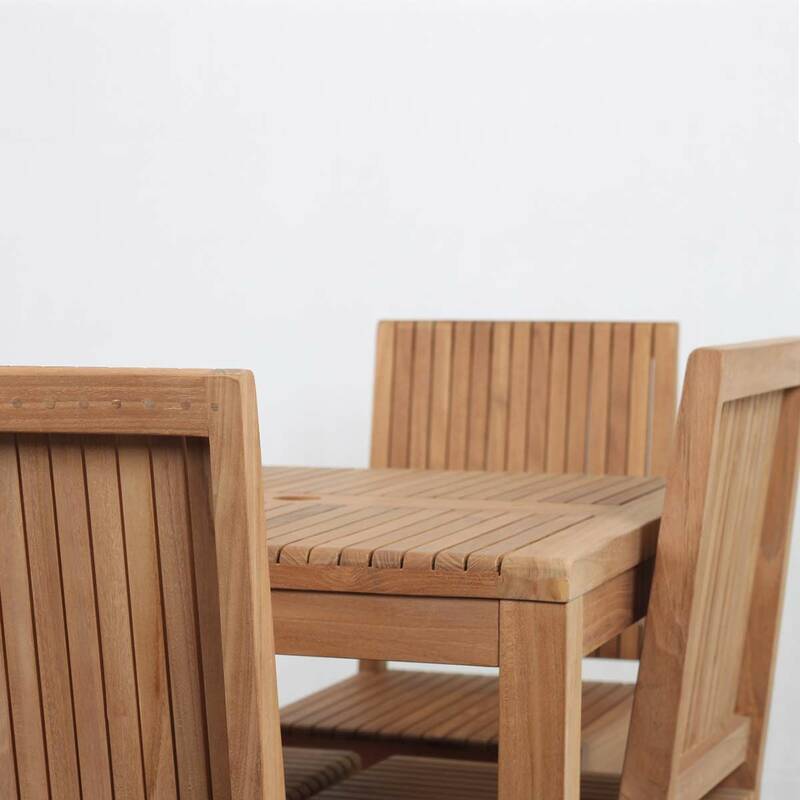 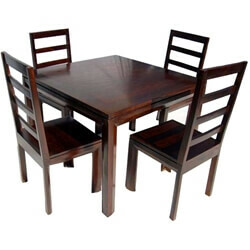 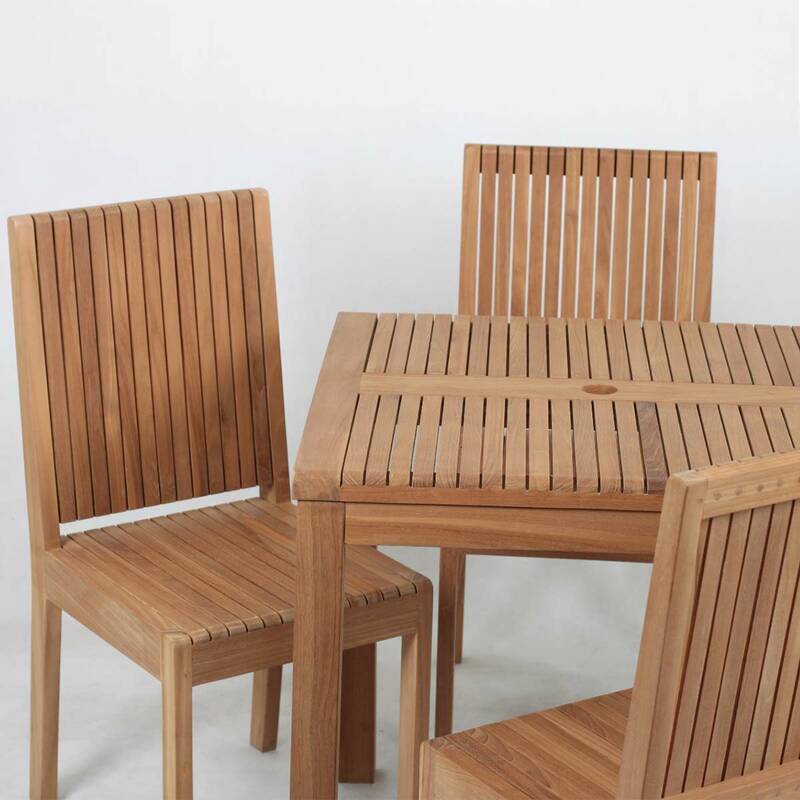 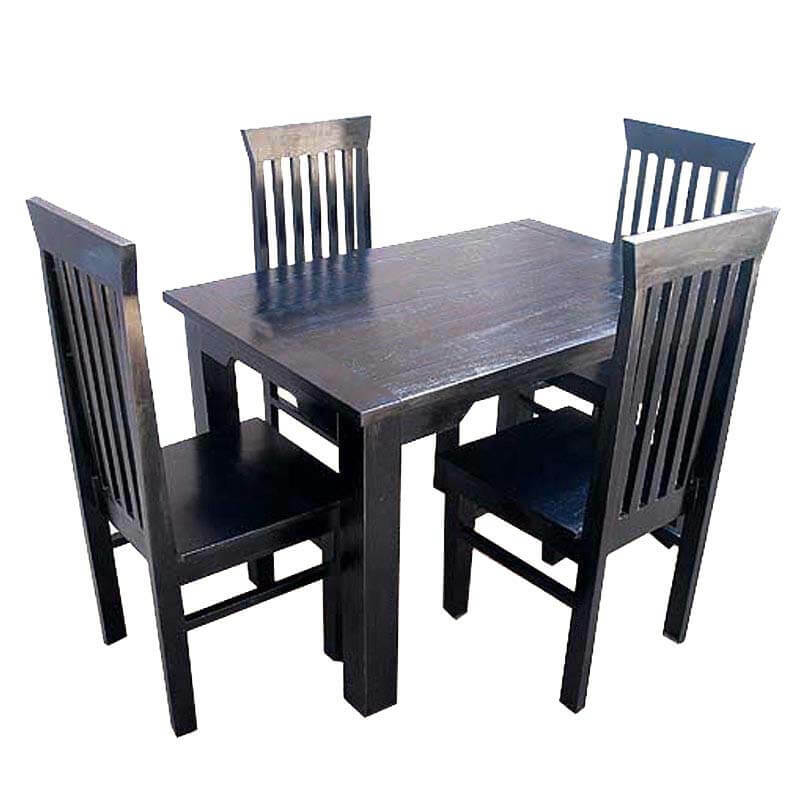 Lounging and relaxing outdoors gets easier with Ottoville Stylish Weather Resistant Teak Wood Outdoor Dining Table and 4 Chair Set. 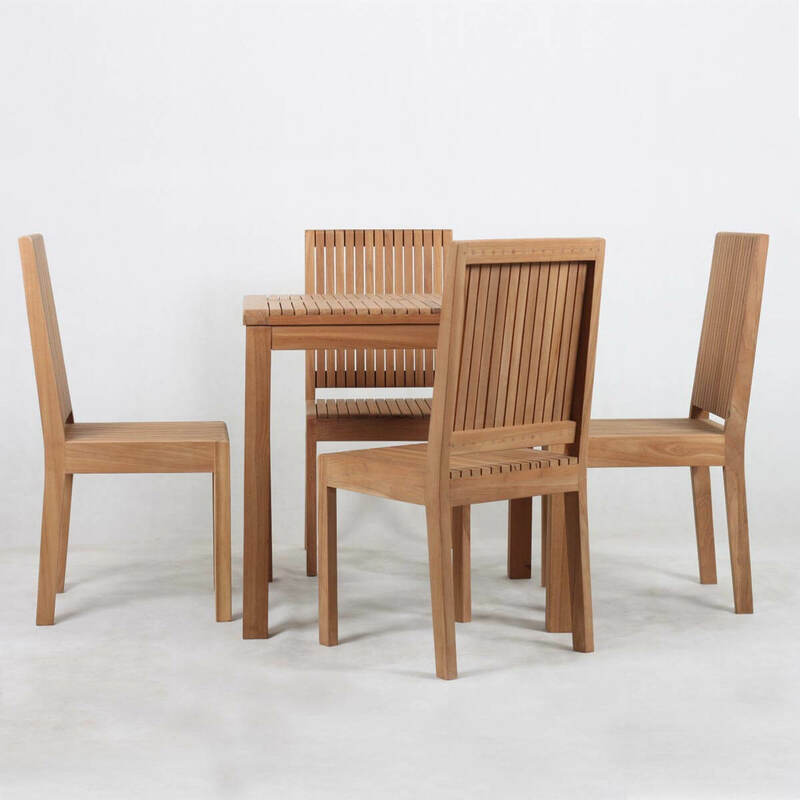 Handmade with solid Teakwood, the set offers resistance to extreme weathers and will still look excellent for years to come. 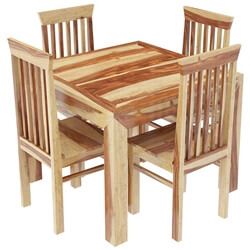 It’s slatted seat, back, and dining table top ensures the water doesn’t get clogged and goes down through the gaps during the wet season. 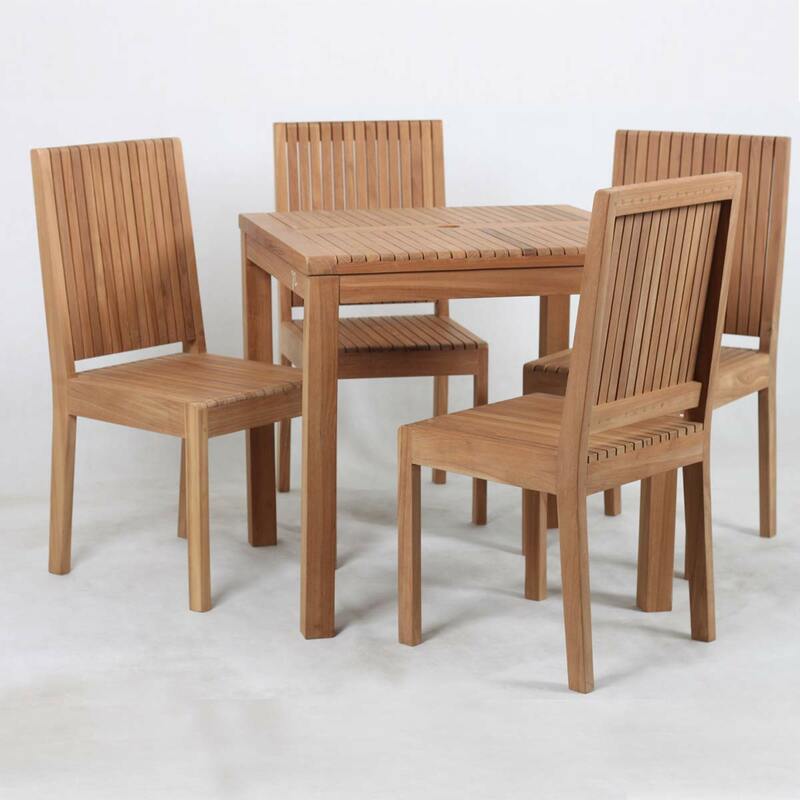 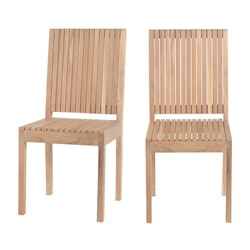 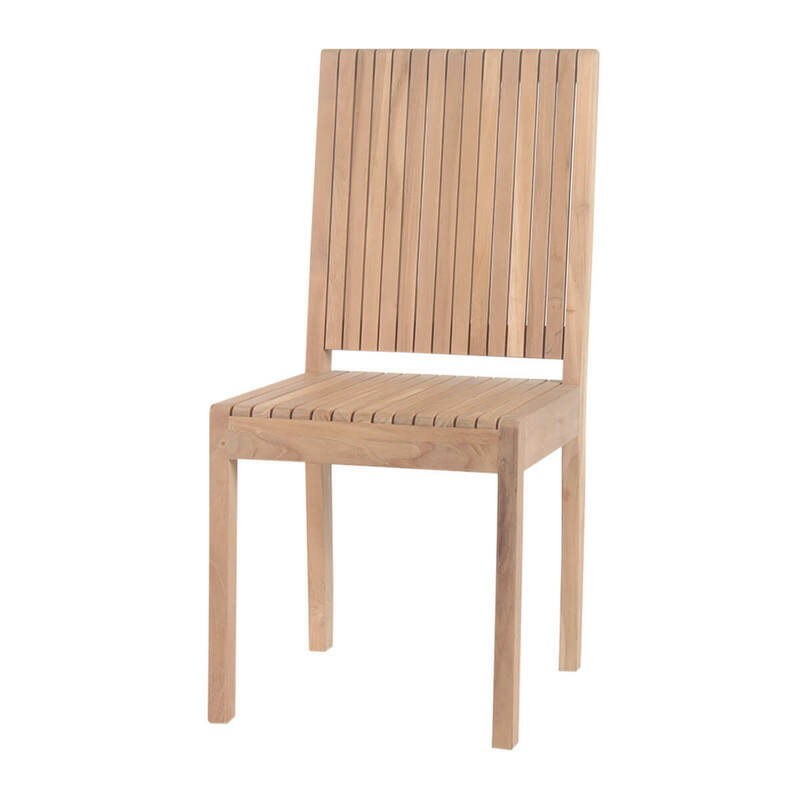 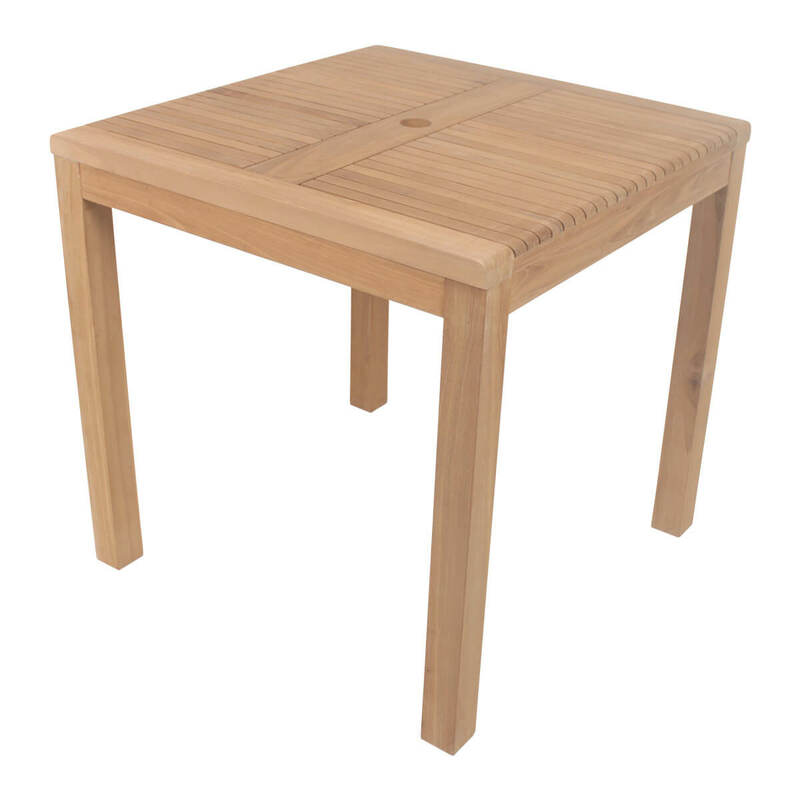 Anchor your patio, terrace, or poolside with this understated solid wood dining set. 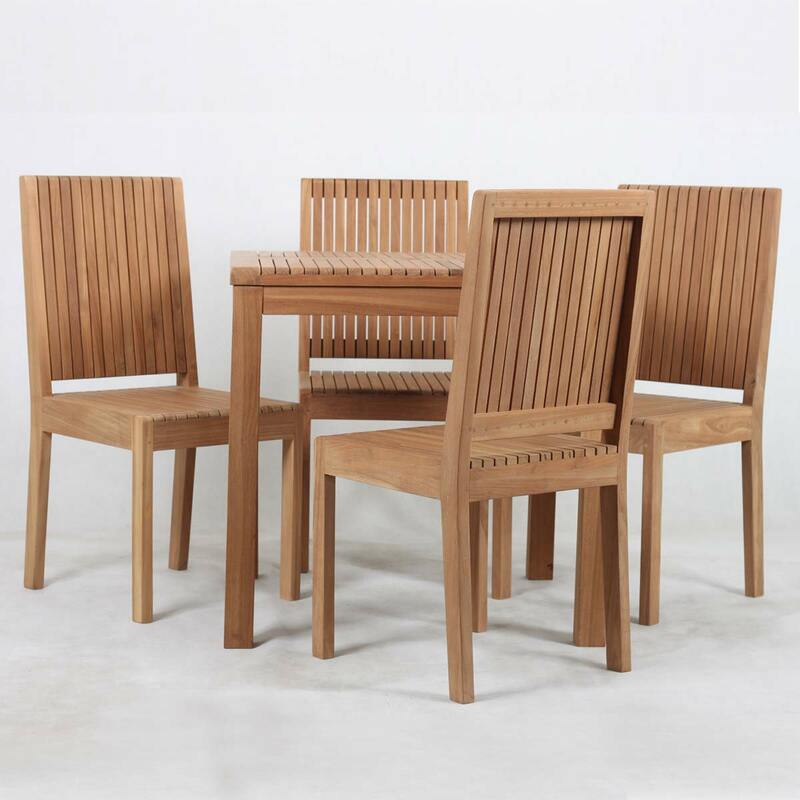 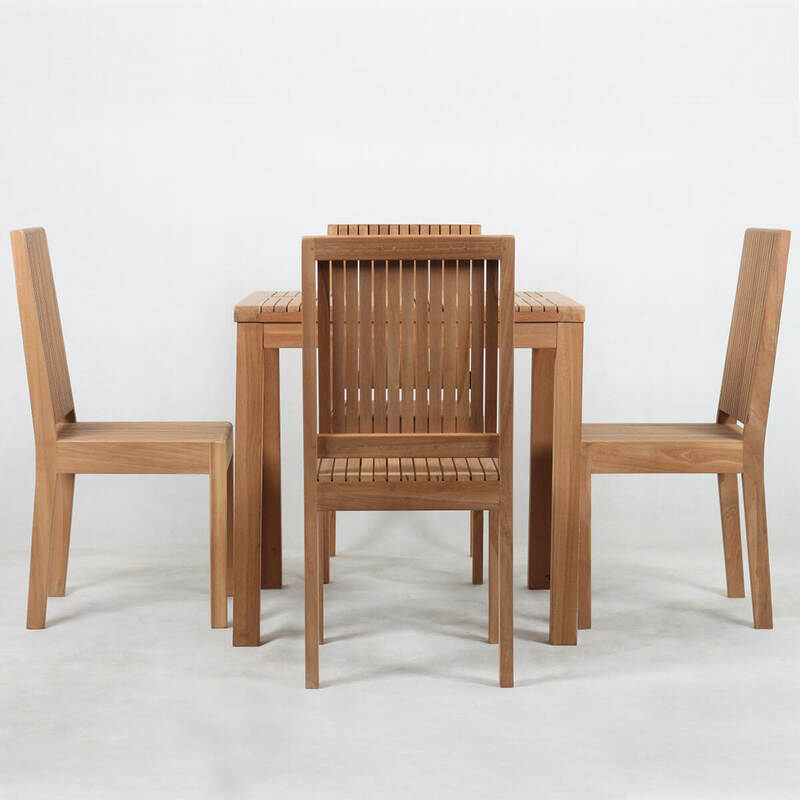 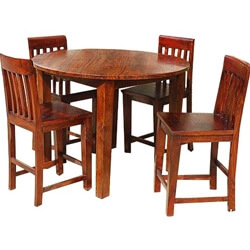 Materials: This stylish dining room collection is exquisitely handcrafted with premium solid Teakwood having weather resistance properties and is durable enough to last a lifetime.